With rumors suggesting that Apple may add near field communication (NFC) capabilities to the fifth-generation iPhone to enable mobile payments, observers have been looking for additional signs of the such an addition. According to Phone Scoop, Deutsche Telekom today gave a presentation at Mobile World Congress in Barcelona outlining its adoption of NFC technology for mobile payments, and during the course of the presentation noted that it expects an NFC-enabled device from Apple to debut sometime this year. Deutsche Telekom announced that it expects NFC phones in 2011 from Apple, Samsung in Q2, and RIM & LG in Q3. 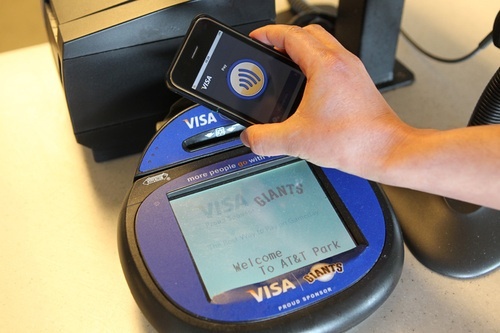 The company expects mobile payments replacing cash to be the most popular use for NFC technology, followed by mobile ticketing for services such as public transportation. Engadget clarified with the report's author that the mention of Apple was included on a slide in the presentation, although Apple was not included in a press release from Deutsche Telekom describing its mobile payments initiative among other topics associated with Mobile World Congress. It is of course unknown whether Deutsche Telekom representatives were simply speculating based on the existing NFC-enabled iPhone rumors, or if they have additional information that may have been gleaned from testing with the new device.